Today’s weakness has been Tea and shortbread. There’s nothing like a good buttery shortbread that melts in the mouth and leaves you feeling all cosy on a cold winter day. Or so I thought… then I discovered Salted Caramel Shortbread and well, that is just the next level of enjoyment! I’m not one for soggy biscuits, but dipping salted caramel shortbread in tea so that the caramel softens to a slightly gooey texture is amazing! 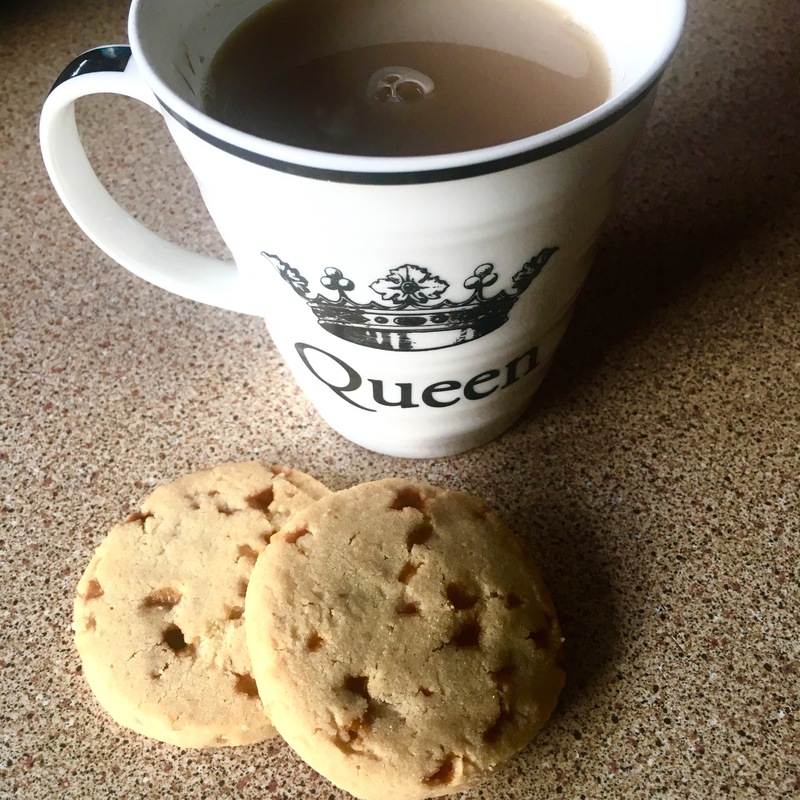 And yes, I think quite highly of myself – Queen… my fiancé does have a “King” mug as well, they were a gift from his mum… one of my faves from last Christmas. I use mine all the time!! So do you dunk your biscuit or not? ?